It is that time of the year. We are all trying to look for that perfect gift– for a special someone. You want to leave a lasting impression while giving them something they’ll love. I know it can be difficult to find a gift for the ones that seem to “have it all“. There is nothing more rewarding than knowing that you are giving the gift that keeps on giving — the gift of health. You better believe that you will be remembered for years to come when you listen to your special someone’s likes and concerns. That is why I’ve compiled a comprehensive list of amazing superfoods that will please everyone, including those impossible to shop for. How’s this different? Well, they’ll appreciate the fact that you took the time to find a gift that will enhance their health. As an added bonus, most of the items in the list are already at discounted prices with free shipping so there is no need to break the bank. 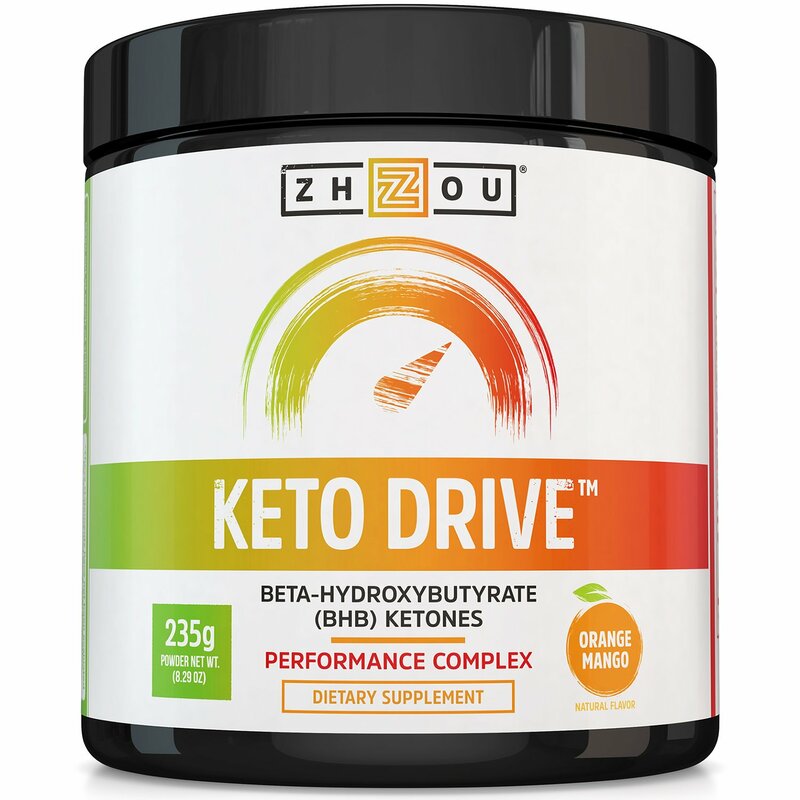 CONVENIENT & MIXES EASILY – Keto Drive tastes great with only water, but feel free to add it to shakes or other liquids, too! The powder mixes easily into cold beverages and is convenient for traveling or your daily trip to the gym. 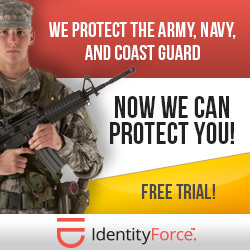 You won’t want to be without it! Chlorella Tablets (Mega-pack 1000 tablets). Organic, raw, non-GMO. 100% Pure Chlorella Pyrensoidosa . Green Superfood Supplement. High protein, chlorophyll & nucleic acids. No preservatives or fillers. Superior quality 100% sun-grown micro-algae health food sourced from Taiwan’s Premier Micro-algae Manufacturer known worldwide for quality production. Produced in a GMP and HACCP food safety certified environment using ISO 22000:2005 quality management system. PROTEIN PACKED: Each tablet is 250mg. 1000 tablets per MEGA PACK bag. This nutrient-dense superfood is made up of 61% protein, amino acids, plus various vitamins, fiber, enzymes, CGF (Chlorella Growth Factor) and minerals. Micro-algae cell walls have been cracked open by a proprietary low-pressure flash expansion process which vastly improves digestibility without damaging or oxidizing the product. 100% PURE: Third-party laboratory-tested. No detectable impurities or bacteria. Absolute cleanest chlorella available anywhere. EASY TO SWALLOW: This is a cold-pressed truly 100% RAW, organic product. NO additives, NO fillers, NO preservatives, NO binders, NO coatings, NO pesticides, NO herbicides, NO artificial flavors, and NO artificial colors. DEFENDERS MUSHROOM EXTRACT POWDER: I personally use these mushrooms in my daily protein shake. I absolutely love how I feel when I supplement with real mushrooms. Especially to prevent or when I feel a cold coming. Made exclusively from 100% organic reishi, chaga, maitake, shiitake and turkey tail mushrooms. The fruiting bodies are hand picked to make the best extract possible. A mix of hot water and alcohol extractions obtains the beneficial beta-glucans and triterpenes, plus thousands of other nutrients from the mushrooms. Just 100% pure mushrooms.SHAKES | SMOOTHIES | COFFEE | TEA: For an extra health boost, add it into your coffee, tea, green smoothies, post-workout protein shakes, as an extra ingredient in your favorite recipes or maybe even an upgrade in your bulletproof coffee . GUARANTEED POTENCY: Guaranteed by analytical testing to have the active, medicinal compounds scientifically shown to boost your immune system. Our extract contains: 20% Beta-glucans, >4% reishi triterpenes and <3% Starch. Beta-glucans are the main active, most well researched, medicinal compound in mushrooms. We measure beta-glucans specifically because polysaccharides numbers include starch, so polysaccharide testing can yield a false sense of quality. 100% MUSHROOM: Certified Organic, Certified Kosher, Gluten-Free, Non-GMO, Vegan, Dairy-Free and Nut-Free. We guarantee that there is absolutely no added mycelium, starch, grains, contaminants or fillers of any kind. We use starch testing to show the mushroom purity of our extract powders. If you or a loved one is trying to change their lifestyle by eating clean, organic, Non-GMO foods, but think some natural retail stores are outrageously expensive, and you don’t have to the time to go food shopping after work– Thrive will be a great addition to your arsenal of healthy online markets. Thrive offers the best-selling natural and organic products at wholesale prices through a $60/year membership. Think Costco meets Whole Foods online, and for every paid membership Thrive donates one membership to a low-income American family. How many retail stores who make millions of dollars can say that? I love this. Now that is the gift that keeps on giving. Essential oils are the new trend these days. However, not all essential oils are created equally. Packaged in dark amber glass bottle with euro style dropper cap. Carlson Cod Liver Oil is regularly tested using AOAC international protocols for potency and purity by an independent FDA registered laboratory and found to be free of detectable levels of mercury cadmium lead PCB’s and 28 other contaminants. Host Defense® Turkey Tail uses activated, freeze-dried, Certified Organic mushroom mycelium. Essential for Supporting Natural Immunity. Turkey Tail (Trametes versicolor) is an excellent source of cellular nutrients. This is one of the best natural holiday gifts ideas. In ancient times shamans all over the world used these turkey tail shelf fungi for many medicinal purposes. Turkey tail kits produce multiple specimens with multiple, colorful zones. Complete Turkey Tail mushroom growing kit, including detailed instructions. Grow these spectacular shelf fungi which are highly prized for their medicinal and decorative properties. Easy & fun to grow. Certified Organic. This complete kit will help you grow your own amazing Turkey Tail mushrooms (Trametes versicolor). Know in Japan and China as Kawaratake and Yun Zhi mushrooms respectively. The kit includes a mycelium spore infused substrate and complete instructions. Turkey Tails grow well between 65 and 75 degrees (F). In ancient times shamans all over the world used these turkey tail shelf fungi for many medicinal purposes. Turkey tail kits produce multiple specimens with multiple, colorful zones. Turkey tail mushrooms are edible but are tough and chewy. The favored use is brewing into a medicinal tea. They can also be chewed like gum. Turkey Tails are prized as a source of the anti-cancer agent PSK. They are also popularly used as a natural treatment for lung and liver disorders. Amazing Grass wheat grass powder is an excellent concentrated food source of beta-carotene, calcium, chlorophyll, fiber, iron and vitamin K.
It is also a very good source of protein, vitamin C, vitamin B-12, folic acid, vitamin B-6, trace minerals and contains all essential amino acids. Mix a tablespoon of Green SuperFood with juice, milk, a smoothie or your favorite beverage. All natural and organic ingredients. Contains the following amazing vitamins, and minerals all in one: Fiber: 2gm, Vitamin A: 3800IU, Vitamin C: 17mg, Vitamin K: 80mcg, Riboflavin: 6mg, Niacin: 6mg, Vitamin B6: 1mg, Folic Acid: 80mcg, Cobalamin: 1mcg, Calcium: 35mg, Iron: 2mg, Iodine: 18mcg, Selenium: 8mcg, Manganese: 548mcg, Sodium: 2mg, Potassium: 230mg, Chlorophyll: 42mg. Need we say more? Chaga and Red Reishi have been traditionally used in Chinese medicines for hundreds of years to help boost the immune system along with many other benefits. This Combo Pack allows our customers to decide their individual immune system boosting protocol. Chaga mushrooms, when consumed on a regular basis can slow aging, improve health and provide anti-aging benefits. Various studies and researchers have found out that consumption of Chaga mushrooms offers protection against damage of an oxidative kind to the human lymphocytes DNA. And because of immunostimulation, Chaga mushrooms also fight against cancerous growths and cancer cells. The presence of betulinic acid in Chaga mushrooms or betulin inhibits the growth of tumors, kills off tumor tissues as well as tumor cells. So if you suffer from tumors, it is beneficial to consume Chaga mushrooms. Chaga mushrooms are your safest bets when it comes to creating general feelings of well-being, increasing the lifespan, delaying the signs of aging, preventing aging and derailing cancer cells. It can repair damaged DNA by producing interferons and it can also inhibit oxidation caused by free radicals. It can decrease hypoxia in organisms and maximize the stability of the body. The metabolic functions of the cell are rectified as well through consumption of Chaga mushrooms. Chaga mushrooms also possess anti-cancer properties in the form of betulinic acid and betulin. Chaga mushrooms provide an anti-inflammatory effect, stimulate metabolism in brain tissues, prevent cancerous growths and boost life energy or “chi”. It can effectively help you get rid of kidney stones and sand. Fungi Perfecti’s host defense offesr 17 powerful mushroom species for immune system health: Royal Sun Blazel, Cordyceps, Enokitake, Amadou, Agarikon, Agarikon, Artist Conk, Reishi, Oregon Polypore, Maitake, Lion’s Mane, Chaga, Shiitake, Mesima, Birch Polypore, Zhu Ling, Split Gill Polypore and Turkey Tail. My Community is the most comprehensive formula for Supporting Natural Immunity produced by Fungi Perfecti. Each capsule contains 525mg of Certified Organic freeze-dried mushroom mycelium/fruit bodies. Pure Hawaiian Spirulina Pacifica is packed with nutrients and promotes a variety of health benefits: It is grown with deep sea water containing all 94 trace minerals & elements and uses our patented Ocean Chill Drying technology to ensure maximum nutrient levels. Grown in a Biosecure Zone, our Spirulina is free of pesticides, herbicides and GMO’s. Ideal for vegetarians. It is the perfect healthy gift ideas for the holidays. Did I leave something out? What do you think about gifting superfoods? I’d love to hear your experiences in the comments below. We’ve all learned our lesson with Christmas presents gone wrong. From the garden hose to the ugly sweater, and even those $12.99 slippers …and how about that holiday we thought they’d be grateful for the snugy or fruit cake? No thank you! Let’s admit it we all can use a little holiday gift giving help, when it’s time for you to buy something unique for the person you appreciate and that has been there for you no matter what. Whether you’re buying for your husband, wife, mom, girlfriend, sister, BFF,grandmother or aunt who holds a very special place in your life– I’ve got you covered. I have compiled a great list of the top Christmas presents under $25.00, so you can give them the best of both worlds: an innovative gift and the gift of health. From stocking stuffers that aren’t just stuff to unique presents that’ll make the wrapping paper jealous, your holiday shopping list is complete with these holiday gift giving guide for family, friends, and everyone on your list. Gifts for Foodies and Cooking Enthusiasts? Check. Ideas for home cooks, health and fitness enthusiasts, and wine lovers? Indeed. Goodies for your favorite pet? Joy to the woof. How do you get a gift for one of the most important people in your life? No amount of gifts can say– thanks for everything you’ve done for me Mom, but I’ve compiled a list of gifts mom will be able to actually use and enjoy. These are gifts I would definitely give to my own mom or that I’d be thrilled to receive from anyone. Don’t forget a beautiful card or loving message, but if you’ve already got those out of the way, here’s a list of some other ideas she’ll absolutely love! 1. Organic-Vegan Bath Bombs ~ Give mom the gift of relaxation this year, plus these fizz balls are handmade, organic and will make bath time a little more fun. 2. Essential Oil Diffuser ~ Essential oils are the latest trend– with good reason! One of the most important aspects is that essential oils are great for healing different types of ailments. An oil diffuser brings an ambiance of peace, calmness, and zen. What’s not to love? Add the 100% pure organic Essential oil kit and you are all set. 3. Vacuum insulated Water bottle ~ These stainless steel bottles are very functional and super cute! Mom will stay hydrated without concerns about BPA or harmful chemicals. Additionally, they are leak proof lid keeps your drink beverage safely inside. The double walled design ensures the bottle will remain sweat free. 4. Amazon Prime 30-Day Free Trial – Get free 2-day shipping on many items, plus free streaming music and movies. 5. healYOUnaturally’s eBook~ Ok, I’m biased, but my new ebook “Top 10 foods for a super healthy lymphatic system” is filled with tips, articles and of course– the best foods to keep the lymphatic system running smoothly. Everyone loved the tips (and I know she will too!). It’s also at a very reasonable price. 6. Instant Pot Slow Cooker ~ Time consuming dinner is so 2000! This electric pressure cooker makes meal prep a breeze. From one hour roasts to stews, and even yogurt. Mom will love you for saving her hours of cooking. 7. Low EMF Hair Dryer – Did you know that some hairdryers are one of the top culprits of TONS EMFs? However, if she prefers a faster hair styling experience give her the ultimate Ceramic Tourmaline Ionic Flat Iron or the 2 in 1 Ionic Hair Straightener Brush with Heat Resistant Glove and Temperature Lock Function. 9. Face Food Natural Skin Care ~ This bundle includes amazing cleanser, exfoliator & toner, Anti-aging moisturizer, and Anti-wrinkle vitamin C serum. The best part of it all is that these products are made without harmful fillers, parabens, dyes sulfates, PEG’s petrochemicals or animal testing. Now that’s top notch skin care! 10. Light and Ion Therapy Lamp ~ Insomnia is a very disturbing condition. This light and Ion therapy lamp provide an automatic antidepressant effect, helps balance your internal clock (circadian rhythm) and can alleviate the nagging symptoms of Seasonal Affective Disorder (SAD). 11. Himalayan Salt Lamp ~ This lamp isn’t just beautiful, soothing and warm. Its best feature is in the air purification properties, it reduces EMF’s, and research also shows they are a great mood booster and sleep promoter. 12. Deep Kneading Massage Pillow ~ There is nothing better than a massage. While visiting a friend she asked me if I wanted to use her new massager. I agreed and I can’t tell you how amazing this massage felt. I was able to use it on my neck, my back, and even feet. I was sold! (We ended up getting one and loved it) I am sure mom or anyone will too. This deep kneading massage pillow is the latest in massaging technology. It comes with a built-in heating function to further massage fatigued muscles and reduce stress. Excellent for neck, shoulder, back, waist massager pillow. 1. Full Protection Windshield Cover ~ Make life easier for Dad with this windshield cover. Say Goodbye to those hard days trying to get in your car and drive. No more frozen or burning hands. 2. Ultimate Organic Shaving Kit ~ Dad deserves the best! Why not pamper him with this shaving kit set with organic shaving soap, aftershave balm, wood shaving bowl. Excellent options for the clean-shaven or bearded man in your life! 3. Electric Foil Shaver / Electric Razor ~ For the man in your life that likes the look of clean shaven. This electric razor will save time and leave him feeling extra smooth. 4. Stainless Steel Portable Water Bottle with Carabiner ~ The Healthy Human Stein lightweight is bottle the latest and greatest in thermos vacuum insulated gadgets. It’s BPA free, can be used for hot or cold beverages and it holds 32oz. Perfect and safe for any season! 5. Set of 2 Stainless Steel Scotch Glasses ~ This unique gift for Dad is unbreakable, leave no metal taste, and it’s thermally insulated. You may also like these whiskey stones — What’s not to love about this set? 6. Neck & Back Massage Pilow ~ This is the closest thing to a real massage, plus it’s heated. 7. Tactical Flash Light ~ Yes, he already has a one. But this tactical flashlight uses military-grade LED technology that can illuminate a field or blanket a work area with 800 lumens of light. It can also blind an attacker. 8. Trusty Charge ~ Is an emergency device designed to keep you connected, no matter what the scenario is. It has a built-in flashlight, its solar powered. The AM/FM radio and, most importantly, it has a solar and hand-crank powered outlet with a USB port that will charge your cell phone or any other devices. 9. TrackR Bravo – Track Anything ~ What if you can’t find your phone? Use TrackR to ring it, even if it’s in silent mode, and you’ll find your phone fast. TrackR helps you keep your stuff…especially if you’re a chronic (keys/wallet/bike/car/bag) misplacer. 10. 6 Piece Knife Set in Gift Box ~ For the inner chef in him! These handy and fun knives will make it super easy during cookouts or anytime. 1. Sunrise Alarm clock ~ Does your teen or child have trouble waking up? Then this is the perfect/cool gift for them. Sunrise Simulation Wake-up Light: 30 minutes earlier before your alarm time. Nightlight optional and 6 soothing sounds… now that’s rad! Or you can try this runaway alarm clock — it won’t stop until you catch it ha! 2. Waterproof Pack-able Backpack ~ Have a teenager that loves the outdoors? This waterproof backpack is great for that — or any other adventure. 3. Fitness Bottle with Phone Holding Sleeve ~ This is the perfect gift for those into fitness while keeping up with technology. 4. Bluetooth Shower Speaker ~ What fun to have music in the shower! Even better when you have this Bluetooth speaker which comes in six different colors. 5. Kindle Fire ~ Easy on the budget with lots of capabilities. 6. Power Cube Wall Adapter ~ Excellent for the busy teen. Surge protector and charges multiple devices at once. 7. Star Wars Droid Inventor Kit ~ For those creative minds. Award-winning toy, with 16+ missions come in the app so kids can teach their Droid new skills. 8. Mini-Trampoline for Indoor Play ~ During the winter or for those rainy days. Rebounding (bouncing) is also a fun and healthy way to release some energy– or you can get this one for the adults! 9. Space Scooter Junior Ride On, Pink ~ (For girls) Fun, cool and a great gift for Christmas or any her birthday. 10. Projector LED Night Light ~ 12 LED Beads Music Light with remote controller and touch sensor keys, freely turn on/off the lamp, change lighting mode, adjust the volume, to set automatically turn off timer. Your turn, what is on your Christmas list this year? What are you getting for family and friends?